A few weeks ago, a Colorado parolee killed warden, Tom Clements. The parolee was killed in a shoot out in Texas. About the same time two DAs in Kaufmann County Texas were murdered. The media, ever quick to speculate, said the murders were part of a larger plot to kill law enforcement officials, in a Bond-esque kind of scheme. Nope. Simple revenge. Police arrest former justice of the peace Eric Williams and his wife Kim for killing Michael and Cynthia McLelland and prosecutor Mark Hasse because they prosecuted Williams for felony burglary and theft by a public servant. Not some Blofeldian conspiracy to bring down the judical system. Just revenge. Wow. On TV the ships are so durable. In the movies they are so fragile. 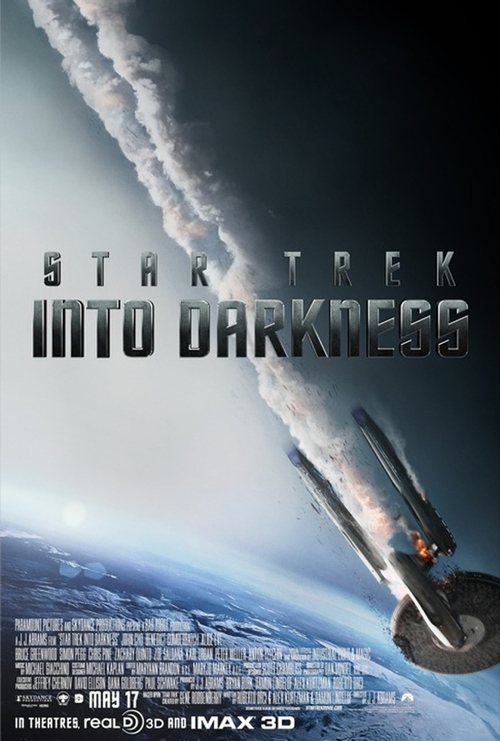 I'm sooooooooo glad JJ Abrams is FINALLY making a movie where the Enterprise crashes on a planet. It's never been done before! At least not with lens flare. I miss real Star Trek. . . Yes, I'm going to see this movie.